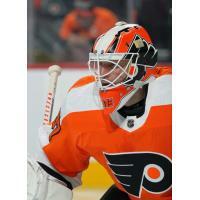 Lehigh Valley, Pa. - The Philadelphia Flyers have announced today that they have loaned goaltender Brian Elliott to their American Hockey League affiliate, the Lehigh Valley Phantoms for conditioning purposes. Elliott, 33, has played in 14 games for the Philadelphia Flyers this season and holds a 6-7-0 record with a 2.59 goals against average and 0.911 save percentage. He was placed on injured reserve on November 15, 2018. Elliott is in his second season with Philadelphia and holds a 29-18-7 record with a 2.65 GAA and a 0.909 save percentage during 57 games with the Flyers. Drafted in the 9th round (#291) in the 2003 NHL Draft by the Ottawa Senators, Elliott made his NHL debut with Ottawa on October 10, 2007 against the Atlanta Thrashers and earned his first NHL victory saving 29/30 shots. Currently in his 12th professional season, Elliott has played 428 NHL games in his career, spending time with the Ottawa Senators (2007-2011), Colorado Avalanche (2011), St. Louis Blues (2011-2016), Calgary Flames (2016-17) and Philadelphia Flyers (2017-2019). The 6-foot-2 netminder has amassed a 220-135-42 record with a 2.45 GAA and a 0.913 save percentage with 38 shutouts. Elliott won the William M. Jennings Trophy in 2011-12, given to the goaltenders for the team with the fewest goals scored against as a member of the St. Louis Blues. He is a two-time NHL All-Star, being named to the team in 2012 and 2015. A native of Newmarket, Ontario, Elliott played four seasons for the University of Wisconsin prior to turning pro. Elliott totaled a 49-27-6 record. During his junior year, he was a Hobey Baker Award finalist and racked up a 25-5-3 record with a 1.55 GAA and a 0.938 save percentage as he led Wisconsin to the 2006 NCAA National Championship. The Phantoms will face another 3-in-3 weekend coming up as they take on Bridgeport at home Friday Night before a home-and-home series with Hershey. They will face the Bears Saturday at Giant Center and Sunday at PPL Center. Tickets to You Can Play! Night on Friday can be purchased HERE. Tickets to MeLVin's Birthday Bash on Sunday can be purchased HERE.